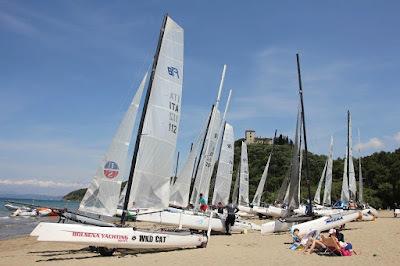 "The 2015 Italian F18 Championship started this weekend in Punta Ala at the Camping Resort and organized by the Sailing Center Punta Ala .Venue where the 2015 A-Class Worlds and past F18 2004 Worlds. Three races held today with a westerly wind on 8/10 knots. Excellent organization on the ground and in water . 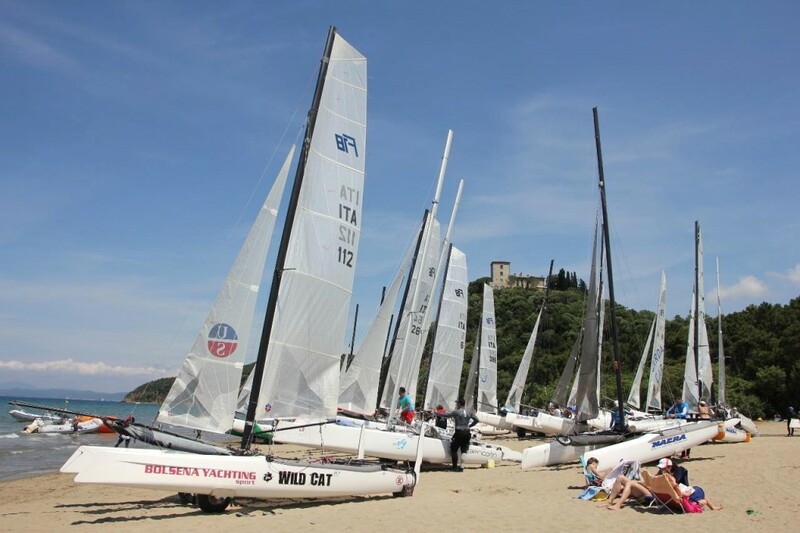 After completing the 3 races programmed, the overall ranking is lead provisional the Lake Garda team Ferraglia & Bianchini , followed by the current Italian champions Radman / Cioni and third Hungarians Baro / Petheo. More news, pictures and complete ranking of www.Formula18.it."